An obstacle horse is one that has training and ability to perform tasks or maneuvers as directed by a rider or handler. 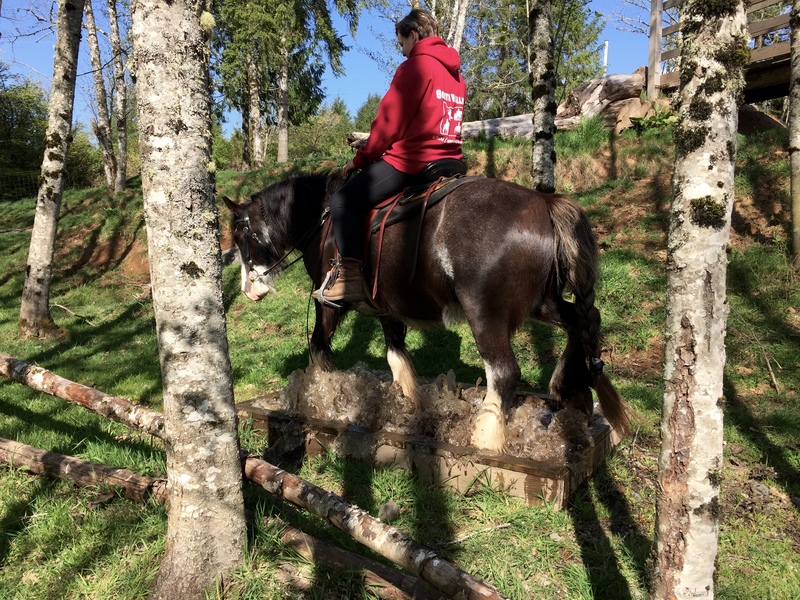 Obstacle horses have an understanding of a variety of obstacles and demonstrate willingness to navigate obstacles together with their handler/rider. 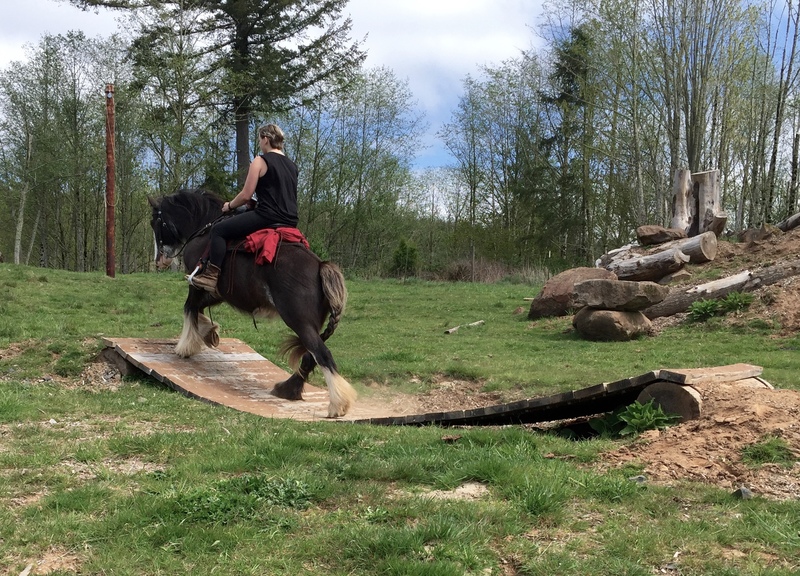 In order to perform successfully in obstacle disciplines, the obstacle horse must be proficient in all foundation maneuvers such as forward motion in all gates, stopping, side-pass, yielding shoulders and hind-quarters, and backing. The obstacle horse is willing, confident, thoughtful, agile, sure-footed, and accepting of leadership. The obstacle horse behaves in a calm and safe manner. 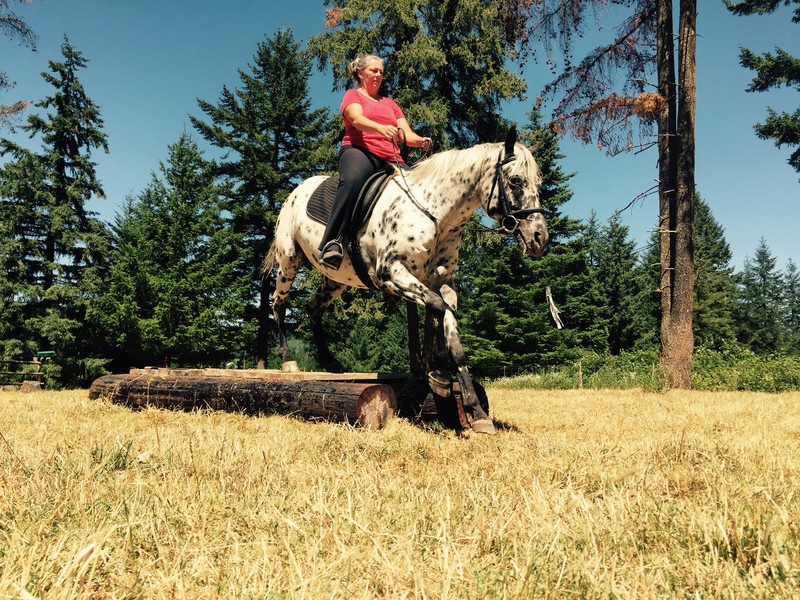 Obstacle Horse Training can be a foundation for other disciplines. Through this type of work, rider and horse gain a better understanding of balance, bio-mechanics, cadence, and horse/human communication. There are several competitive activities that directly involve obstacle training such as mt. trail, versatility, competitive trail challenges (ctc), agility, le trec, and extreme trail.